In a world where technology rules, you run the show! Where would we be without computer experts and IT professionals who are there for us when our monitors show a blue screen of death? What would we do without the men and women who clean viruses and perform updates for all of us idiots? You have come to realize there is one thing computers will never replace...human stupidity. 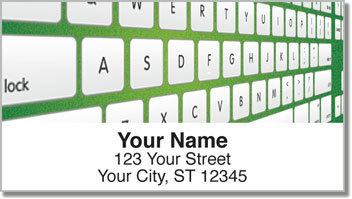 If you're the kind of geek who still utilizes old-fashioned snail mail, you can use Computer Expert Address Labels to save time preparing envelopes. 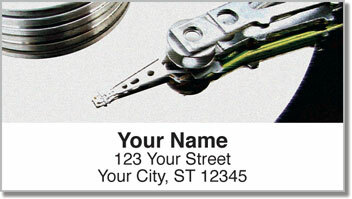 Otherwise, you can use them to label your personal stash of Ethernet cables. 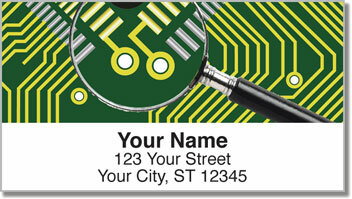 Order Computer Expert Address Labels from CheckAdvantage right now! 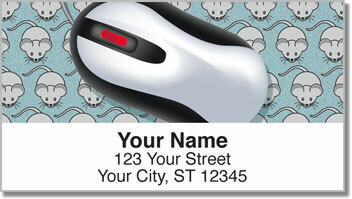 They also come in matching personal checks.